Williamsport, P.A. - Matt Kroon's grand slam highlighted the Crosscutters 11-0 shutout win over the Scrappers in the series opener. Ethan Lindow got the start for the Crosscutters and delivered his best outing of the season, tying a season-high with nine strikeouts over six shutout innings. Lindow earned just his second win of the season. Ben Aklinski opened the scoring for the Crosscutters in the bottom of the 3rd inning, delivering a single to right, scoring Matt Kroon to give the Cutters a 1-0 lead on the 25th RBI of the season. Williamsport added to their lead in the bottom of the 5th inning, using a Jonathan Guzman squeeze bunt to score Lenin Rodriguez, giving Guzman his 13th RBI of the season. Alec Bohm capped the scoring in the frame, driving a two-run triple to right-center, scoring Guzman and Aklinski to up the lead to 4-0 on Bohm's first triple and his 6th and 7th RBI. The Cutters put it out of reach in the bottom of the 7th inning, utilizing two walks and three hit batters in the frame. Rodriguez was hit bay a pitch with the bases loaded, scoring Akilnski to make it 5-0 on Rodriguez's 2nd RBI. Seth Lancaster drew a bases loaded walk to plate Jake Holmes to make it 6-0 on Lancaster's 14th RBI. Matt Kroon blasted a 2-1 offering over the wall in right, for a grand slam, scoring Danny Mayer, Rodriguez and Lancaster on the first grand slam Crosscutters grand slam since 2015. It was the 2nd home run for Kroon this season and upped his RBI total to nine. 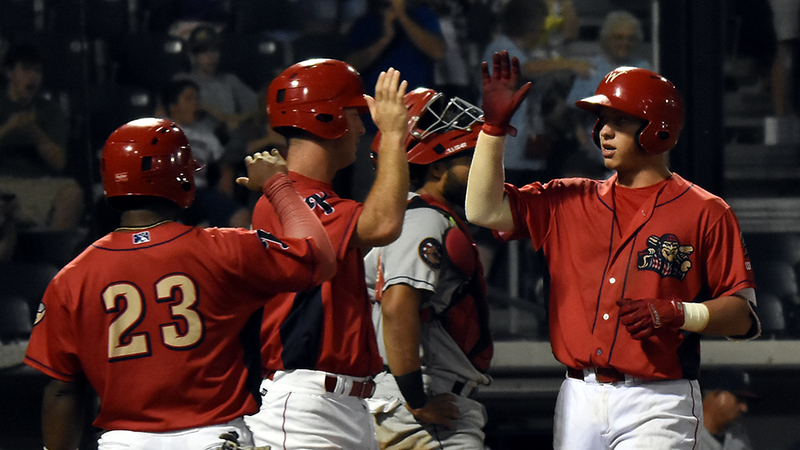 Alec Bohm capped the Cutters scoring with a RBI single to center, scoring Ben Aklinski who opened the 8th inning with a triple to left-center. It was Bohm's third RBI of the night and his 8th RBI of the season. Austin Ross pitched the final three innings, striking out four batters en route to his 1st save with the Crosscutters. The Crosscutters continue their series with the Scrappers tomorrow night. First pitch is scheduled for 7:05p.m. at BB&T Ballpark.